Hi friends! Today, I wanted to share with you my TOP AVEDA PRODUCT PICKS! You know how I LOVE my AVEDA!!! 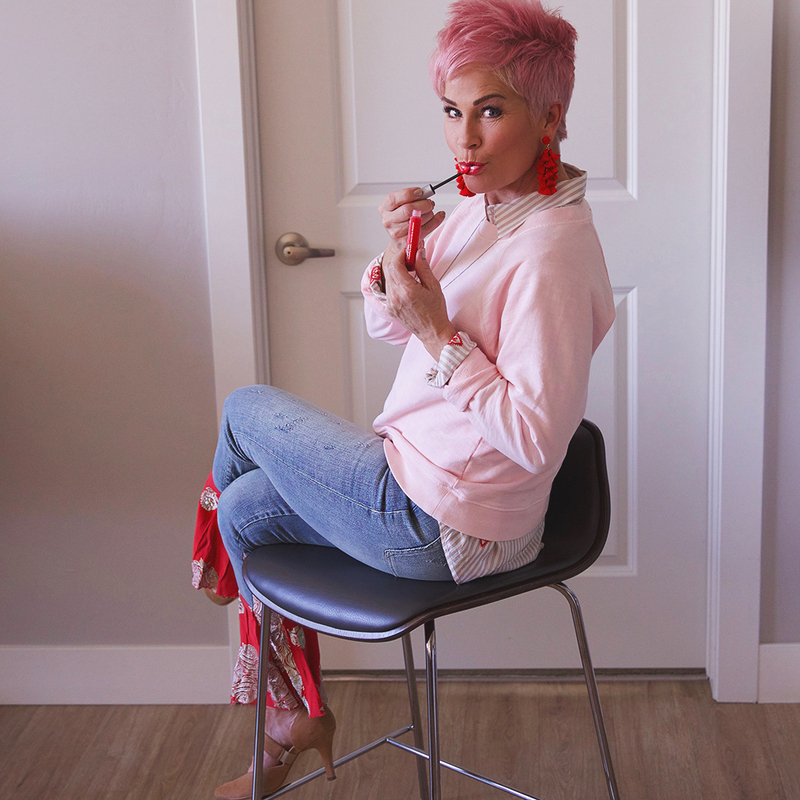 When I was there this week at Landis Salon for my appointments, I just happen to run right smack in to this RED lipgloss called Cherry Blossom!! It is so perfect and here’s why…… Sometimes red lipgloss can be really hard to wear because it smears and bleeds, and with the bright color, it can be everywhere!!! THIS one is so easy because it still is very punchy, but not too much! And it STAYS ON which is so good! These other products I love too. First, if you’ve never tried Aveda lotions, they are SO rich and luxurious and smell SO GOOD! I have used the Hand Relief and Foot Relief lotion for YEARS!!! They come in the perfect little size to carry in your bag too! And these make such great gifts! I buy these often for birthday gifts! There’s not anyone I’m sure, that doesn’t fall in love with these lotions! The Rosemary Mint Bath Bar is LOVELY!!! It’s made with rosemary and peppermint leaves and so moisturizing!!!! It also exfoliates which I think is neglected when it comes to your body! And lastly the Stress-Fix Cleansing Oil! Stress does MORE to us than we realize! This is another body cleansing product with an aroma of lavender and sage, that has been proven to reduce stress!!! And I don’t know anyone who needs that! Each of these would make the best little gift! Aveda does such a fantastic job with their products. My salon, carries all of these! I’ve never been once where they’ve been out of a product…..don’t you hate that?!! Try them, I think you’ll like (LOVE) them!!! There’s an Aveda store about 40 minutes from me. But the best bang for your buck I feel is their website. I love their “purple” shampoo & conditioner. Since I stopped coloring my hair it keeps my silver ”high lights”. Clean and crisp…if you know what I mean. And the scent of these products are AMAZING!!! I’m not sure if they do body sprays or perfumes, but perhaps the should. Very good quality products!!! Glad you love the scents. Yes, there are 2 body spray, and 3 hair fragrances. All Aveda scents work alone or together like a bouquet of flowers.